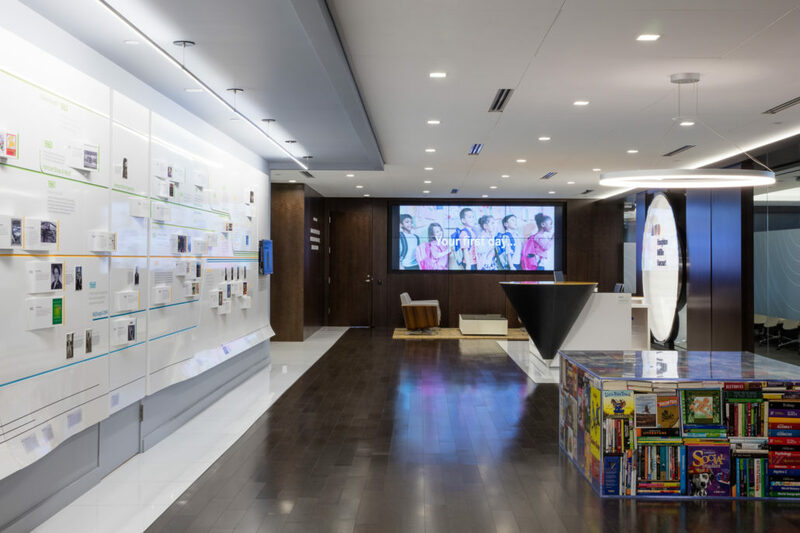 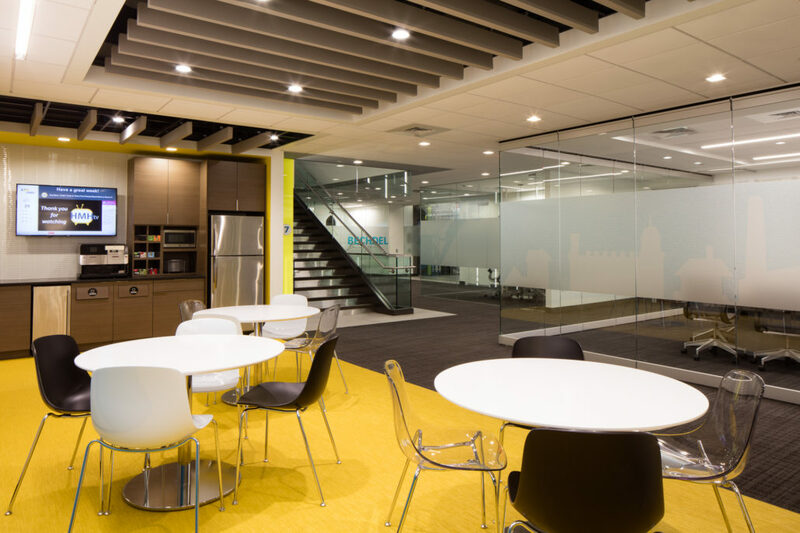 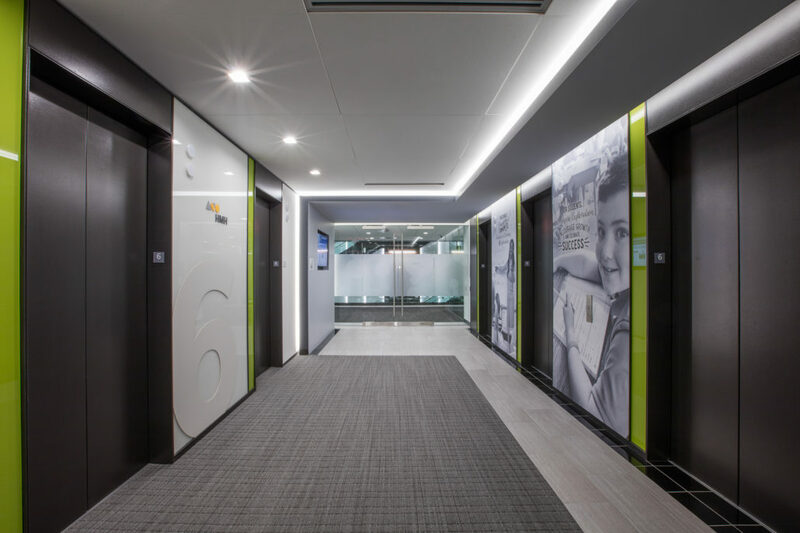 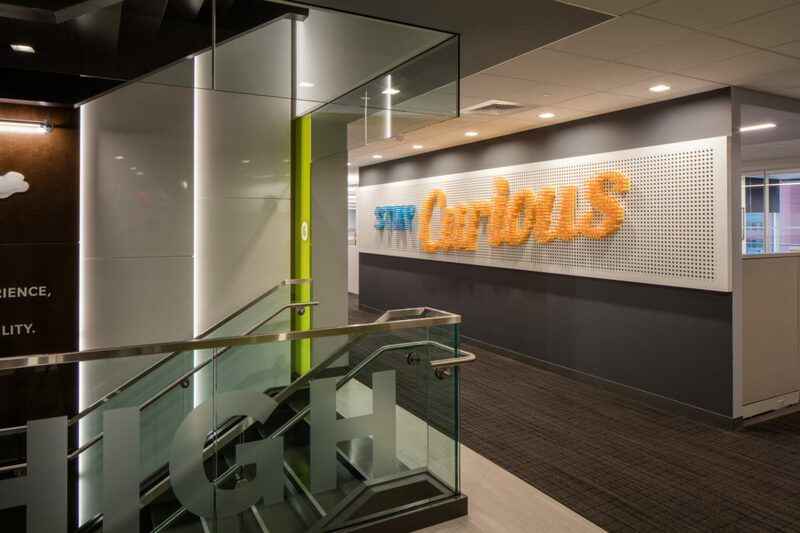 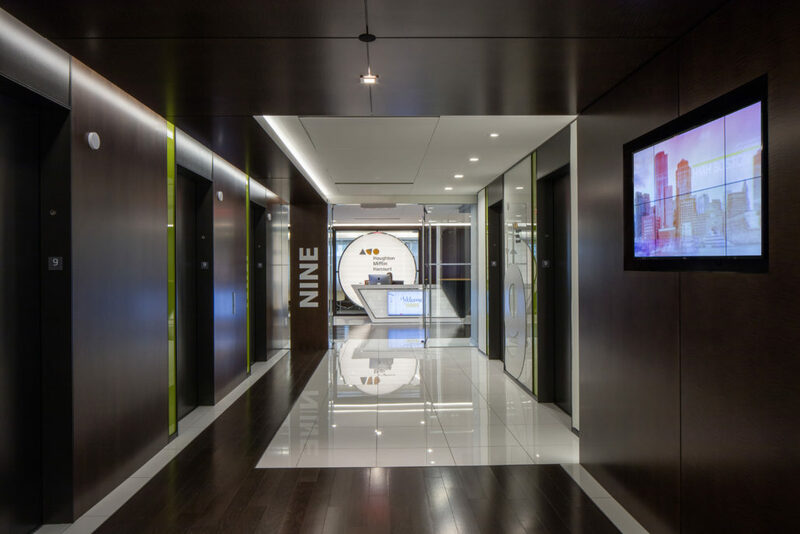 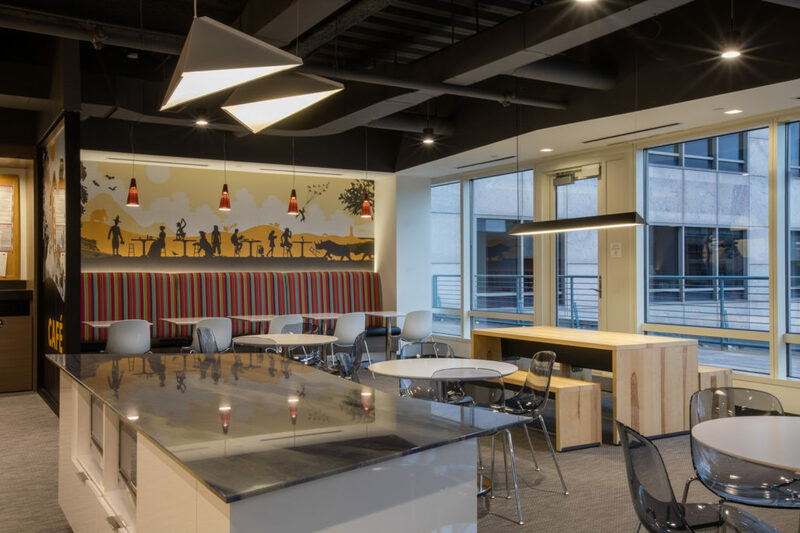 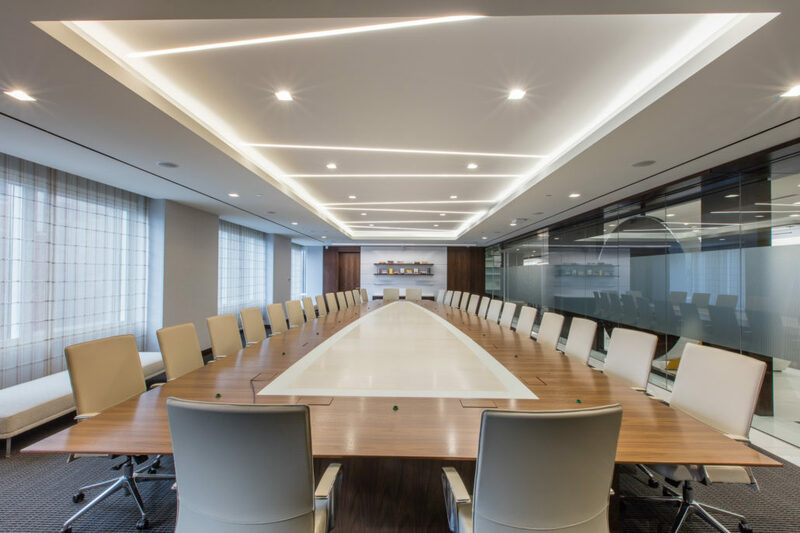 The headquarters relocation project for Houghton Mifflin Harcourt (HMH) aimed to align with the company’s re-branding by creating a more innovative and collaborative space that seamlessly incorporates forward thinking technology. 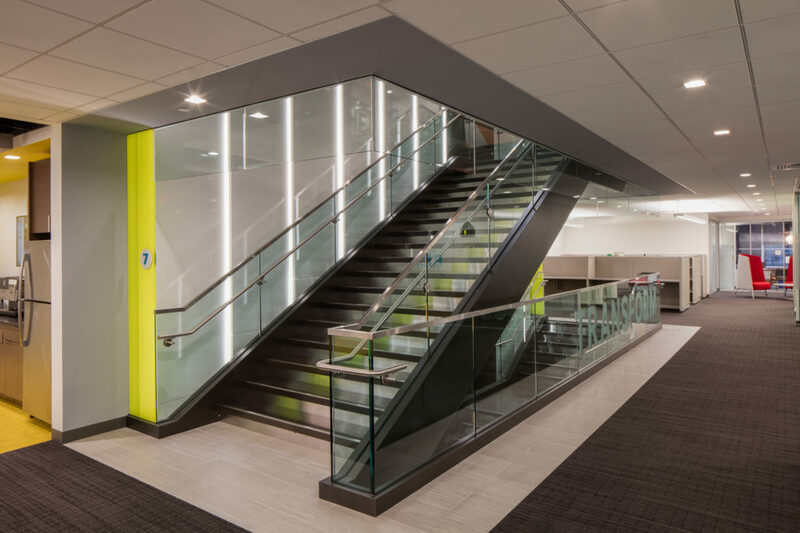 The color palette and architecture is streamlined and sophisticated, intentionally designed to create movement and aid in way-finding. 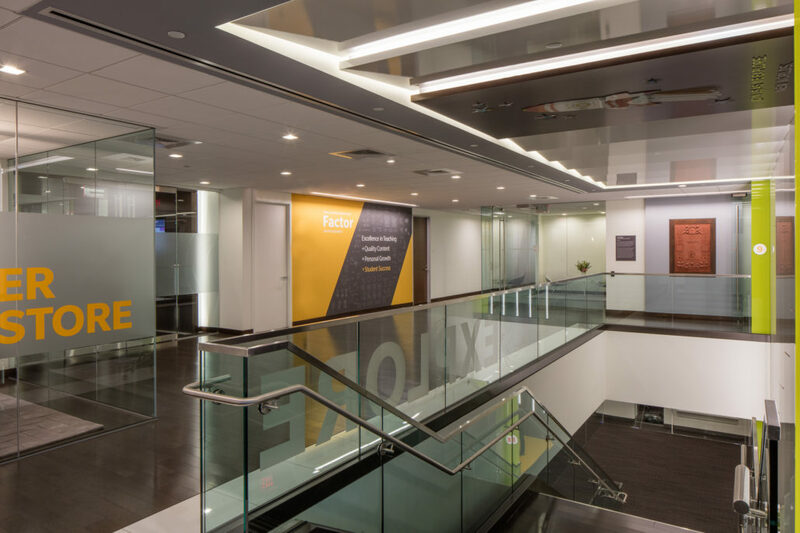 Each floor is a mix of workstations and offices that feature floor to ceiling glass walls, allowing each workspace to have access to natural light. 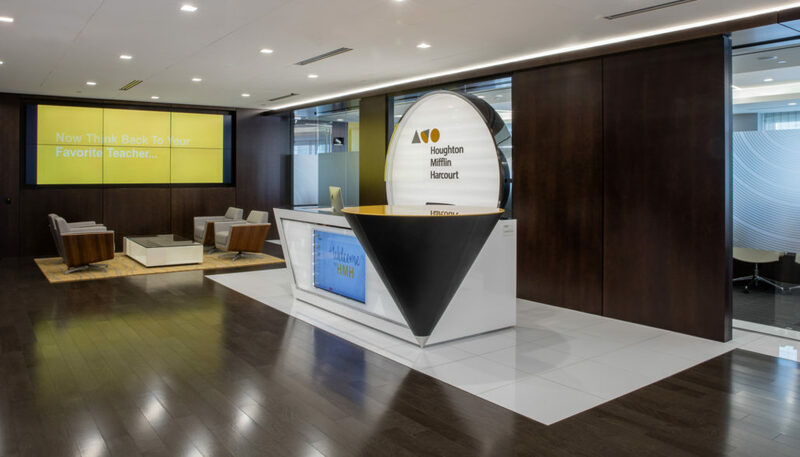 The reception floor features a 3-dimensional time-line as well as an unique reception desk that cleverly and playfully incorporates HMH’s logo. 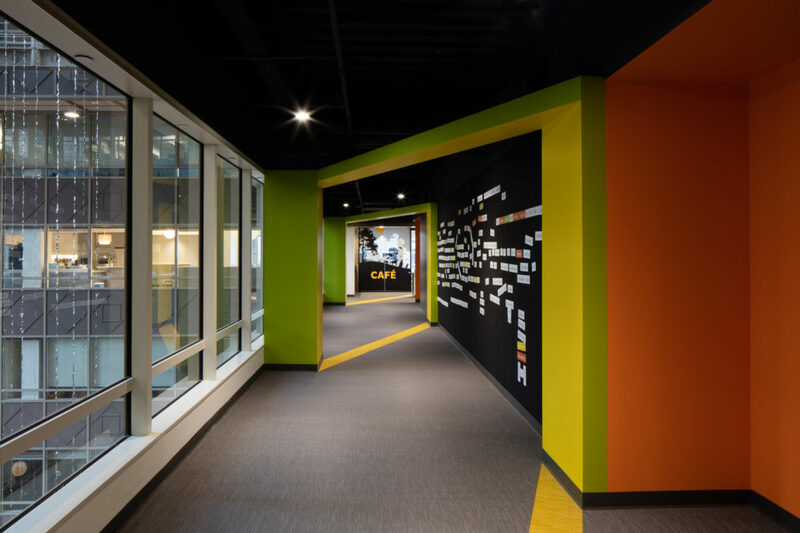 The five floors are brought together through a volumetric and transparent interconnecting stair with architectural elements and graphic displays that convey messages which are significant to the publishing company. 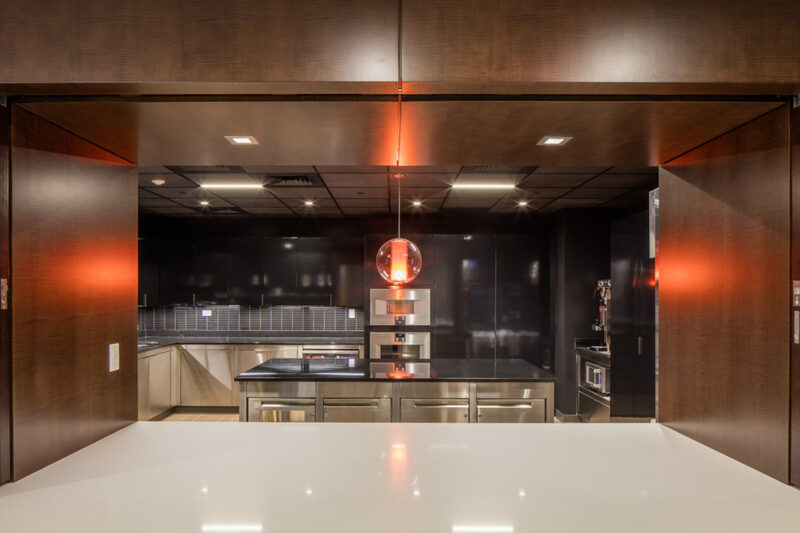 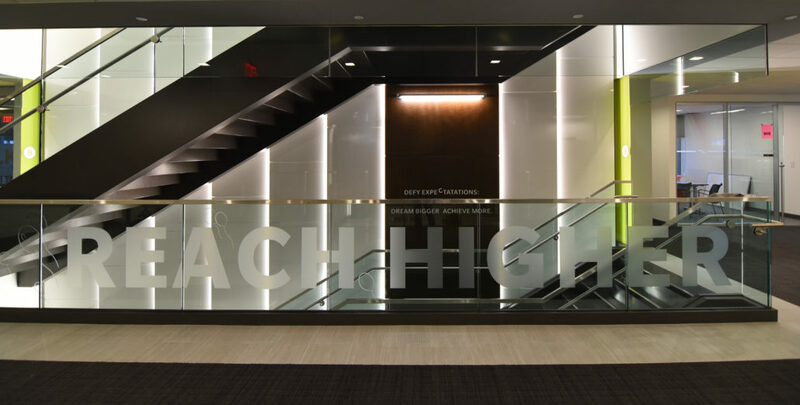 Environmental graphics and interactive displays enhanced the overall architecture by personalizing HMH’s headquarters and creating a space that reflects HMH’s brand, culture and personality.